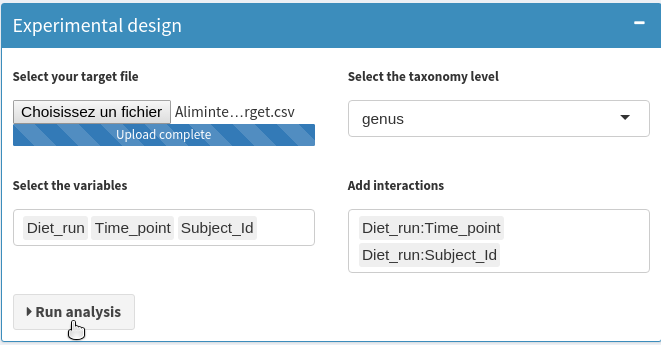 SHAMAN is a SHiny application for Metagenomic ANalysis including the normalization, the differential analysis and mutiple visualization. 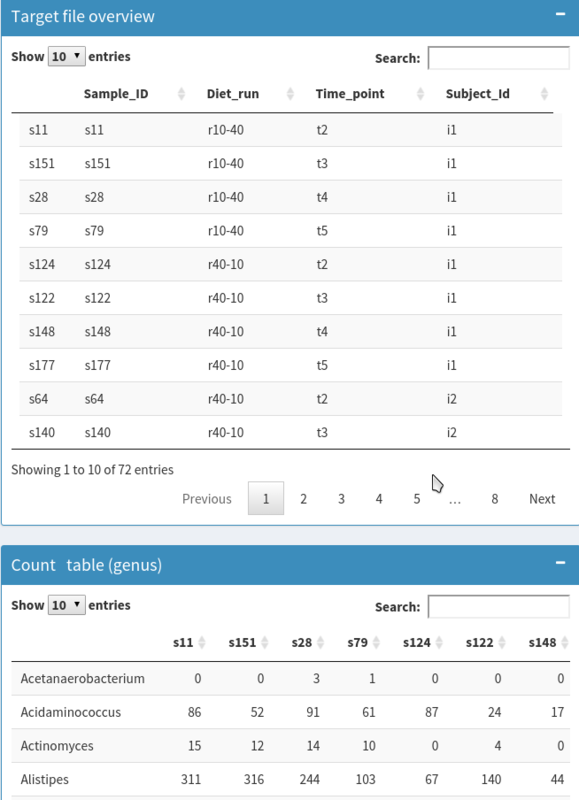 SHAMAN is based on DESeq2 R package [Anders and Huber 2010] for the analysis of metagenomic data, as suggested in [McMurdie and Holmes 2014, Jonsson2016] . SHAMAN robustly identifies the differential abundant genera with the Generalized Linear Model implemented in DESeq2 [Love 2014] . Resulting p-values are adjusted according to the Benjamini and Hochberg procedure [Benjamini and Hochberg 1995]. 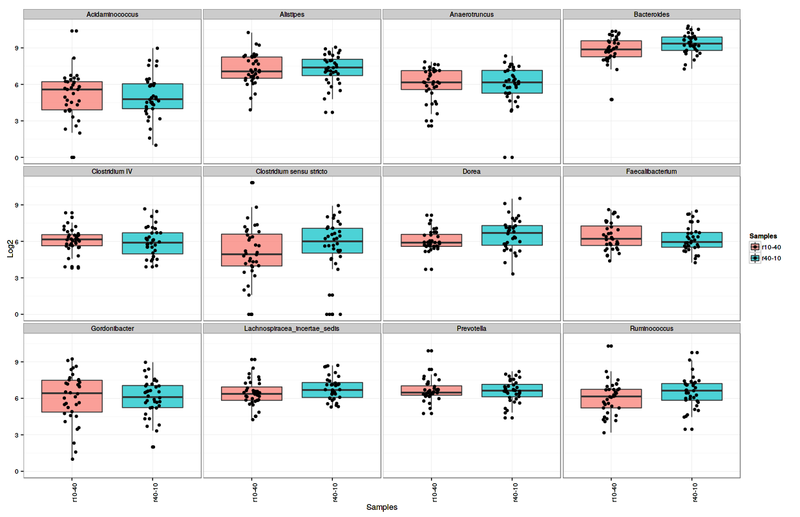 The PCOA is performed with the ade4 R package and plots are generated with ggplot2 or D3.js packages . A presentation about SHAMAN is available here and a poster here. 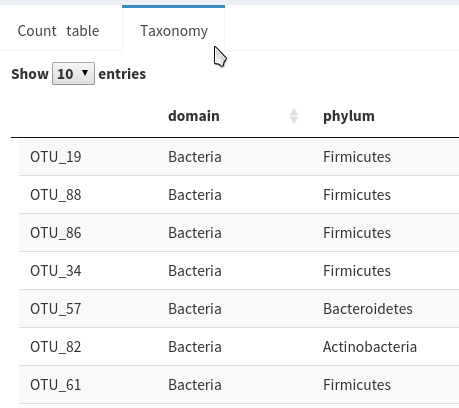 SHAMAN is compatible with standard formats for metagenomic analysis. We also provide a complete pipeline for OTU picking and annotation named MASQUE used in production at Institut Pasteur. Carine Rey, Hugo Varet, Julien Tap, Anna Zhukova. If you use SHAMAN for your project, please cite our first application of SHAMAN in Quereda et al. 2016. 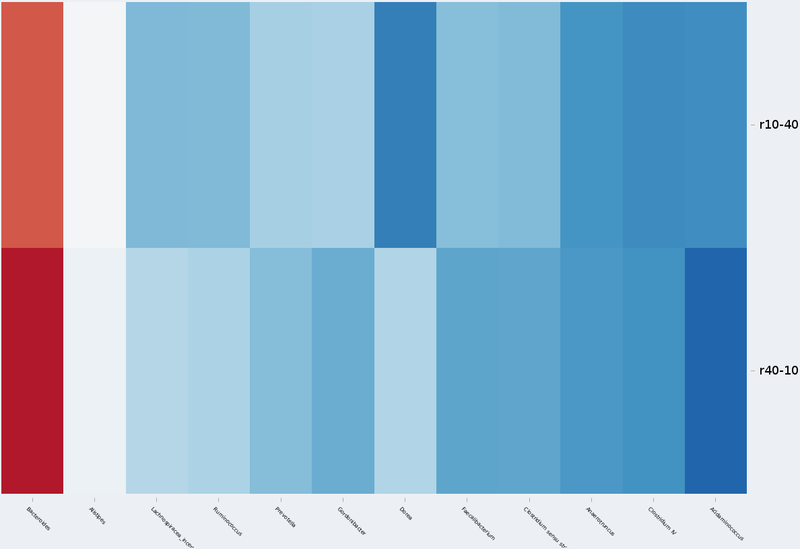 We fixed few bugs in export system and scatterplot visualisation system. SHAMAN is now available as packrat package. Take a look at download section. The bioinformatic treatment offers a larger access to parameters. We also worked a lot on the documentation. The bioinformatic treatment of fastq reads is now available in SHAMAN. 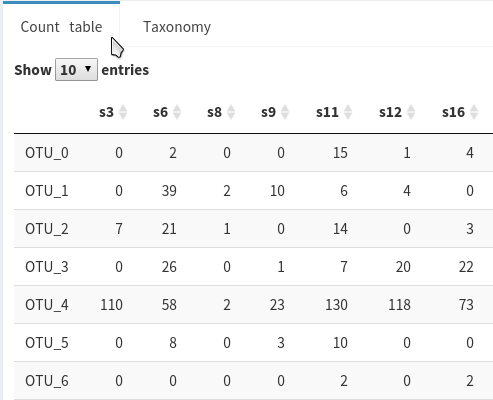 For now, SHAMAN allows to compute OTU, build an OTU table and annotate them with the last version of the available database. This application is for 16S/18S/23S/28S/ITS sequencing. 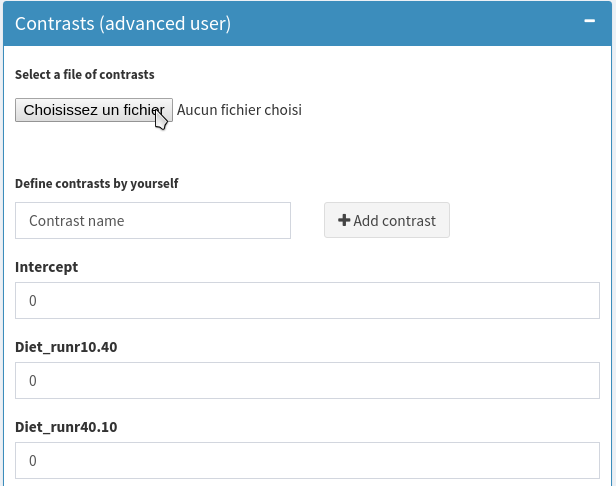 A new method for normalization called total counts was added. More options have been added to the abundance tree. 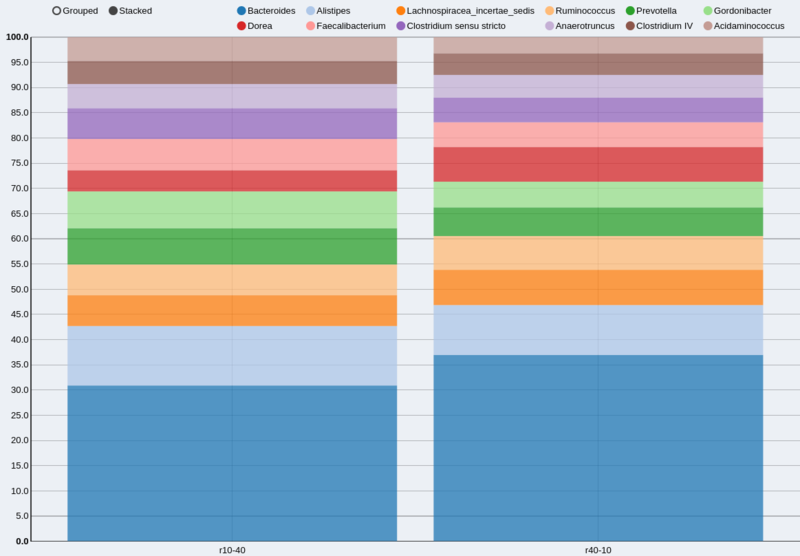 Some visualization bug with the abundance tree and phylogenetic tree are now fixed. The export of the relative abundance and normalised abundance are now given in the right level. This update prepares the field for the next major release of shaman for June. 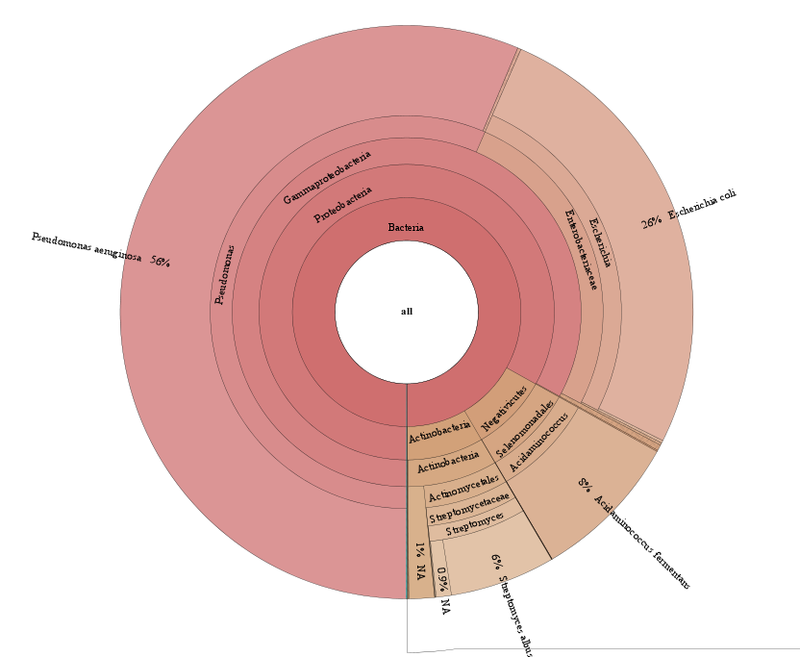 Krona and phylogenetic tree plots are now available in visualisation. Several new distance are available in PCOA. The import float count matrices is now ok. We have finaly debugged the export of the relative abundance/normalized matrices. 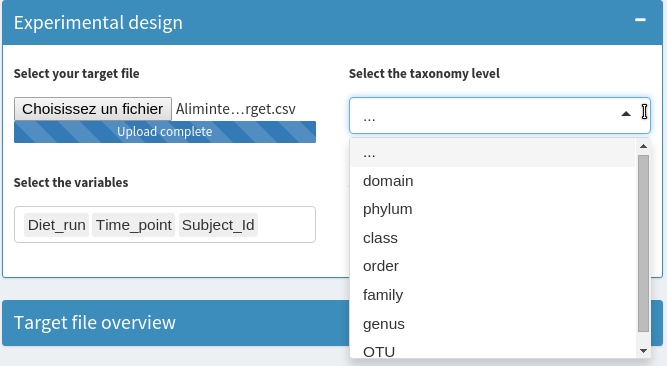 You can now upload a phylogenetic tree to calculate the unifrac distance (only available at the OTU level). The stress plot has been added to evaluate the goodness of fit of the NMDS. We have implemented a new visualization called tree abundance. Some bugs have been fixed (thanks Carine Rey from ENS). 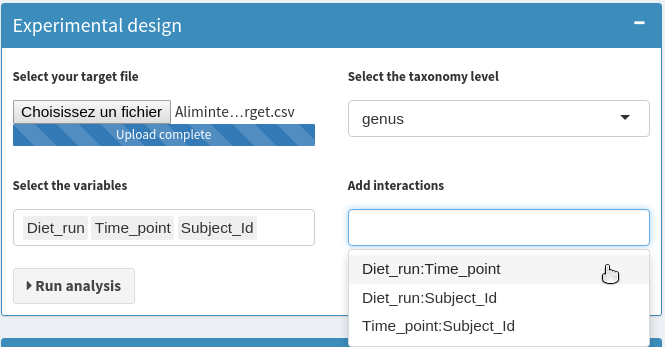 You can now apply a filter on the features according to their abundance and the number of samples. Bugs on confidence intervals for the alpha diversity have been fixed. The install of SHAMAN is now available with docker. The R install is also updated and passed in release candidate state. You can install SHAMAN (beta). 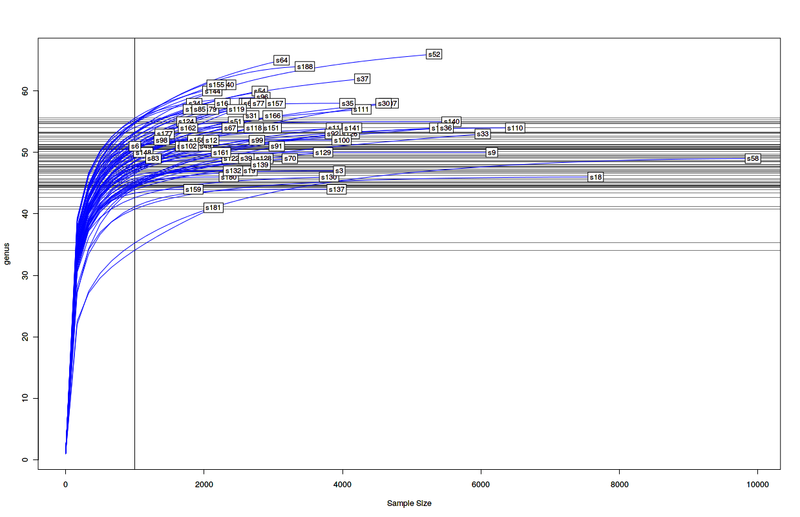 You can select the axes for the PCOA and PCA plots. SHAMAN can now support all the Biom format versions. The venn diagram and the heatmap of foldchange have been added to compare the results of 2 or more contrasts. Enhancement of the visualisation of the diverties. The shanon and inv. shanon have been added. You can test SHAMAN with the dataset from [Tap et al. 2015] , which is available here . 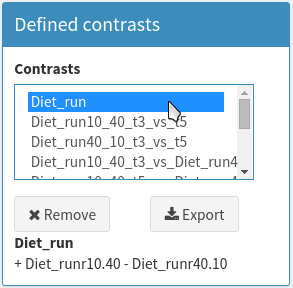 - the contrast table : Alimintest_contrasts.csv. 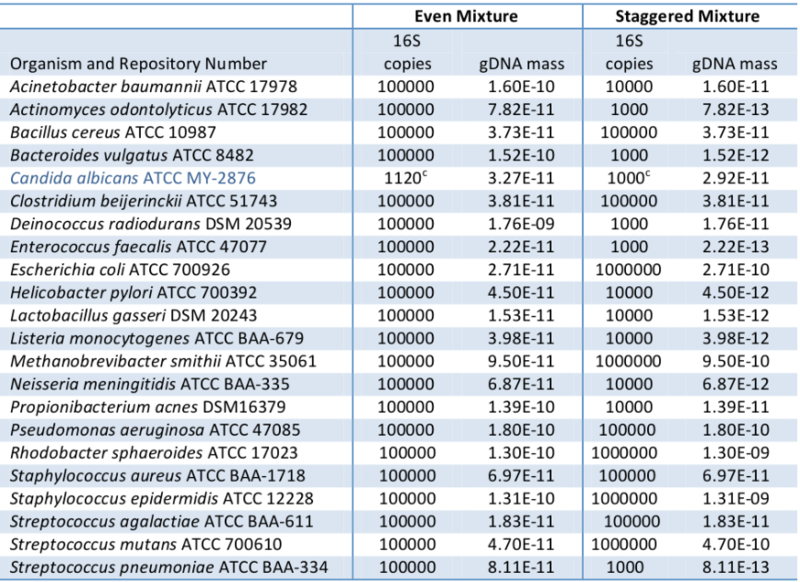 The 16S rRNA (V3 - V4 regions) from fece samples was sequenced at time stamp : 2, 3, 4 and 5. 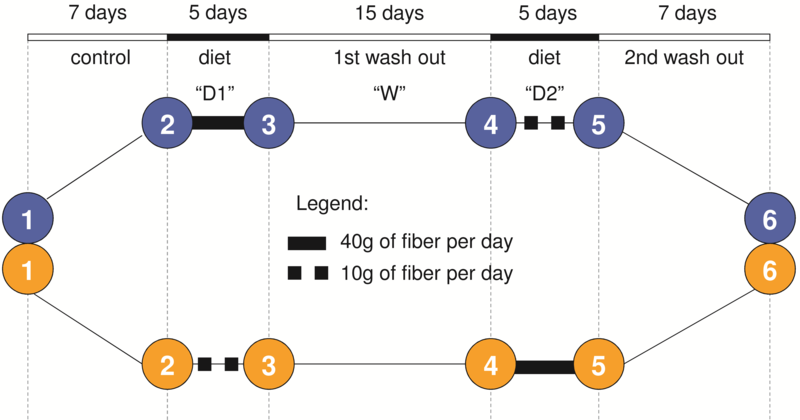 The analysis will consider the different impact of the different fiber intake and the comparison to patient metabolic data. 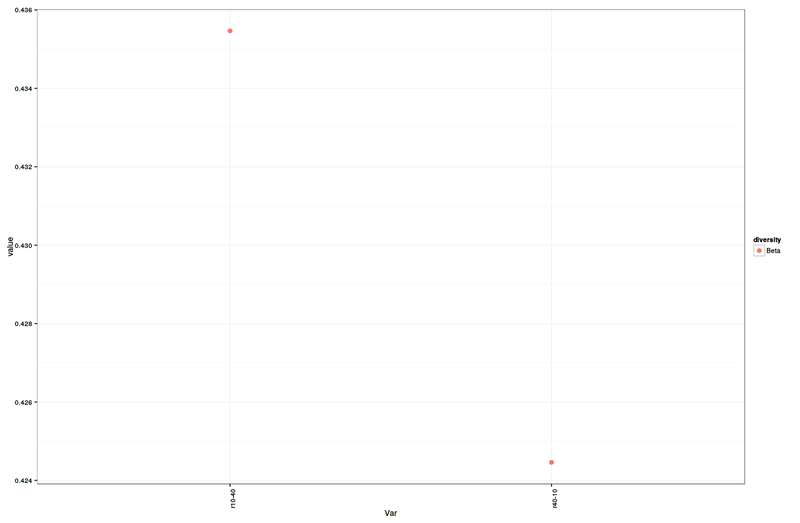 - The base mean is the mean normalized count for the given annotation of all samples. - The fold-change is a mesure describing how much the abundance varies from one condition to an other. For instance, if the abundance is 100 in condition 1 and 200 for condition 2, the fold-change equals 100/200=0.5. - The log2 fold-change is the log2 value of the fold-change. - The p-value adjusted (padj) is the pvalue obtained by the Wald test and adjusted by Benjamini & Hochberg procedure (BH) or Benjamini & Yekutieli procedure (see linear model options). The project is divided into three group : WT, Delta : Bacteriocin KO, Delta-complemented: Bacteriocin KO + complementation. Docker install is the easiest way to use SHAMAN locally. Download and install docker from https://www.docker.com/ Then, you will need to install the Docker toolbox. Once installed, run ‘Docker Quickstart Terminal’ application. Then connect to http://0.0.0.0/ with your favorite web navigator. Failed: port is already allocated ? Of note, contribution to SHAMAN code are always welcome and can be performed with the github deposit.